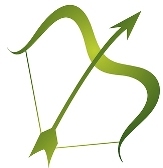 Sagittarius You are headed towards a calmer period this month. After being so busy, you will regain your balance and things will fall into their places again. Think big again, feeding yourself with positive inspiration will help your dreams take flight. Keep in mind that you are free to go and do whatever you want. Is keeping others in mind one thing that's limiting your freedom? The world doesn't revolve around you, Sagi. Think of yourself more and take initiative. Book that dream vacation that you've been longing for or enroll in a course you have always wanted to take. If you're in a relationship, tension can be a part of the menu this month. Don't let fights escalate but try to discuss things calmly with each other. Singles should enjoy their freedom. There's really no reason to rush into a new love. Sagittarius You have been struggling and working so hard in the last few months. You have also met the necessary obstacles in love. Doubts keep arising and you were eagerly looking for answers. This month, you'll finally find peace in your mind. Let go of your quest for answers. Time will solve things for you. Enjoy this lovely month. Create a warm mood around you, dress with care and follow your heart. This could become a month filled with love for singles but also for those who are already in a relationship. Don't feel obliged to surprise the people around you with big gifts. You make everyone equally happy, or maybe even happier, with small and well-thought attentions and you keep your finances under control.